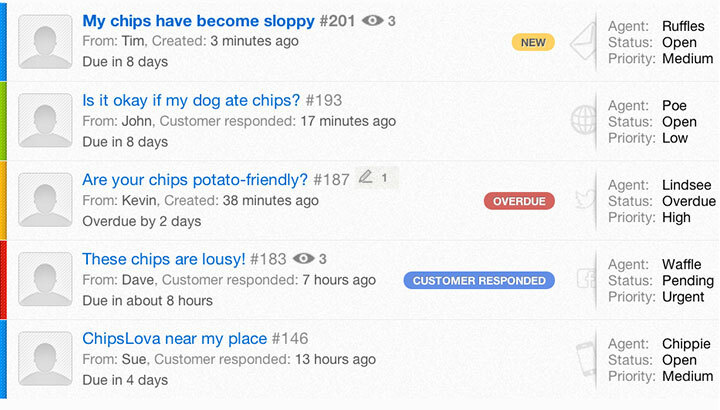 Happy customers which company don’t want in the world of today – a cheesy thought, isn’t? Options are many, but today I am figuring out to talk about Freshdesk in mine this review. Known well as an online customer support and helpdesk solution, Freshdesk is a cloud-based customer support software which lets you support customers through traditional channels like phone and email, social channels like Facebook and Twitter, but by not letting you miss your own branded community offering power smiles to more than 17,000 customers around the world. Despite I clearly mentioned above there are dozens of similar solution over the web, why one think and plan to opt for Freshdesk. Thoughts which does come in your mind at time, includes does Freshdesk offers me a variant solution which I am aiming for? Does Freshdesk offer me top-the-corner support? Does Freshdesk offer me round the clock support? A question, like these and many others revolves round your head the whole day. Starting with understanding Freshdesk, it is an intuitive support solution which offers everything a business thinks of getting. It offers helpdesk ticketing, a modern knowledge base, which everyone wish to have, a self-service portal, a community platform which lets you engage customers and last but not the least, a contact management functionality, which I am sure you will definitely love it well. In just a span of few minutes, you will start experiencing that your support emails are now viewed as Freshdesk tickets while other notable awesome features which you start loving at a very first instant is that the like of customizable ticket fields, email notifications, business hours, service level agreements, scenario automations and dispatcher functionality which can automate ticket dispatch. The first and the best feature offered by Freshdesk. There is no doubt that how customer emails falls into cracks, fall into mud and lost itself into a chaotic download spiral. The offering allows you to collaborate with your team as well as will let you drive insights. Since managed team inbox already as its first feature, with ticket management, managing your customer support will be an easy task. Then, whether it is all about categorizing tickets or making a shot at the right support representatives, all it takes is just few clicks. There is no doubt that you got different requirements of setting up your ticket fields. With Freshdesk, you are free to opt for deep customization totally as per your requirements. While if you got all the above three things right, still you feel a strong need of something more powerful on the chart. This is here, Freshdesk again make a key role with the introduction of Powerful Automations. With this, all you support queries is categorized in a right manner as well as prioritized and assigned to the right person in your team. While living a world of social media today, then how one forgot on brining social media to customer support. The time when your customers talk to you on phone and/or email, Freshdesk allows you to support them through an additional channel, that’s the social media. A knowledgebase is an efficient tool in the world of today but it is more important to have smart suggestions on. Choosing a question from knowledgebase might be a difficult task for your customers but thanks to Freshdesk smart knowledgebase suggestions it will be an easy task. 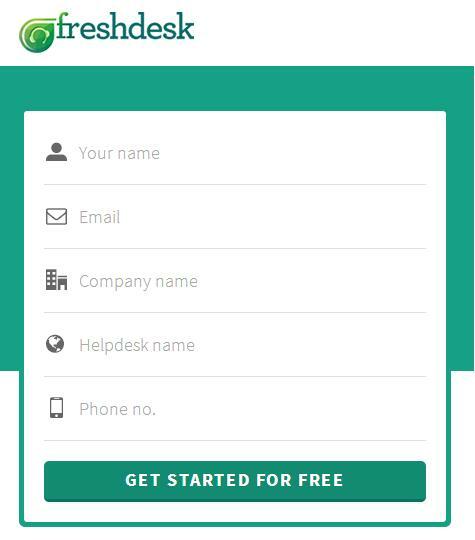 Freshdesk allows you to have a platform onboard by which you can interact directly with your customers. With the platform, you can ask questions, help others on finding answers, share ideas and engage directly with them. It is always important that you do complete the task of solving tickets well on time as no customer of yours wants to wait for long. This is where (again) Freshdesk got something for you. Freshdesk got built-in time tracking tool which lets you know that how much time you spent on each ticket. While answering each of ticket is uttermost important but sometimes your customers are quietly in huge hurry on getting an answer. This is where self service portal works well. With this portal, you let them help themselves to your knowledge as well as engage with the community. Possibly your customers are from across the world, which ends up in creating a condition for you to create a cross languages, timezones-based customer support. With Freshdesk, you can able to scale things up across multi-languages and timezones from the start. It will be quite a case sometimes that on a single ticket, more than one customer agent put up their response. This is where; Freshdesk’s agent collision detection tool will help. Great customer support software will only be considered as complete when it lets you offer an advanced reporting and insights tool. With Freshdesk, you will get a complete overview of everything support and helps you drilling down deeper to identify the root cause. 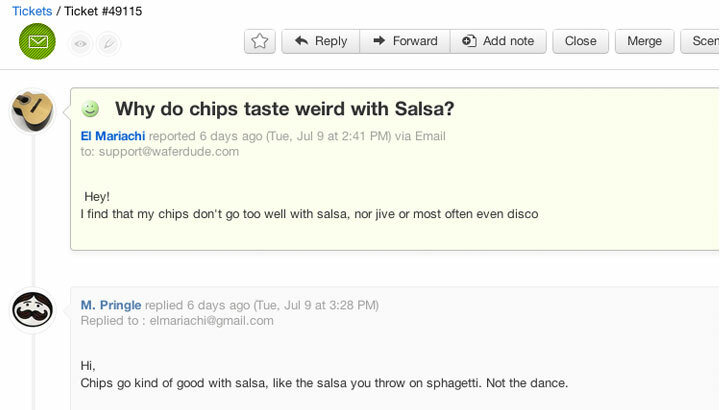 It is always important to get a feedback from your customer about the support service you are offering to them. Freshdesk lets you get feedback on your support for each of the ticket raised. Freshdesk gives you the freedom to setup different service level agreements based on their source, customers, groups and ever more. Freshdesk allows you to customize your portal completely as the way you want. It will be a bit frustrating at times when your support agent working for all day long solving your customers tickets. Freshdesk here to make things easier, lite and even interesting for agents turned up each support tickets into a chance to score points based on speed, accuracy and satisfaction. Pricing – How Much It Cost You? Freshdesk is offered in four-tier layered version with first three agents will be free forever. The first plan or actually a free plan named as “Sprout” and includes Single Support Email, Integrated Phone Support, Knowledgebase, Workflow Automations, Mobile App and Built-in Integrations. The second plan named as “Blossom” is priced at $16 per agent per month when billed annually (while $19 per agent per month when billed monthly). It includes all the features of Sprout as well as Social Customer Support, Community Forums, Satisfaction Surveys, Advanced Reporting and Multiple Mailboxes. The third plan named as “Garden” is priced at $25 per agent per month when billed annually (while $29 per agent per month when billed monthly). It includes all the features of Blossom as well as Integrated Live Chat, Multiple Languages, Multiple Product Support, Multiple SLA Policies and Multiple Locations. The fourth and final plan names as “Estate” is priced at $40 per agent per month when billed annually (while $49 per agent per month when billed monthly). It includes all the features of Garden as well as Integrated Game Mechanics, Agent Collision Detection, Custom Agent Roles and SSL, Enterprise Grade Reporting and Full Portal Customization. Overall, Freshdesk is a wonderful option one definitely considers opting for. The free offering “Sprout” is fully functional and allows you to have upto three agents with one mailbox. For as low as $1 per day pass to $3 per day pass, you are free to add extra agents for a day to help get you clear the high volumes of tickets without changing your plan. Social integration plays a very important role and gives a huge touch to end customers. In short, Freshdesk is an affordable solution which makes a great fit for small medium businesses that are looking to support customers across multiple channels. Next story Dedicated Servers For Your Business – Which One You Choose?